This Easter holiday period, ACT Policing will join forces with NSW Police in support of Operation Crossroads, a coordinated road safety initiative to reduce road trauma across Australia and New Zealand. The efforts by ACT Policing and NSW Police will mirror those of police throughout Australia in a national road safety campaign against dangerous driving coordinated by the national police agency, ANZPAA (Australia New Zealand Police Advisory Agency). 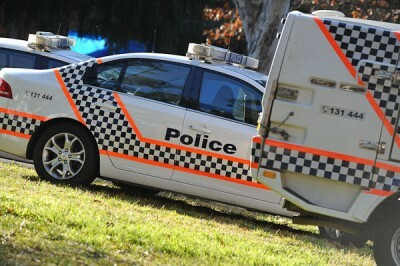 ACT Policing Superintendent Ben Cartwright said that coordination across borders was paramount in ensuring road safety over the holiday period. 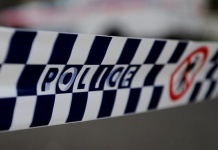 “Many drivers cross the ACT and NSW border over the Easter period and we’ll be working alongside NSW Police to target dangerous driving behavior on our roads,” Superintendent Cartwright said. ACT Policing in co-operation with NSW Police will conduct high-visibility patrols on major arterial roads targeting driving behavior that contributes to serious and fatal collisions. “Police will target impaired driving, speeding, fatigue, driver distraction and seatbelts in an effort to eliminate deaths and serious injuries on our roads,” Superintendent Cartwright said. 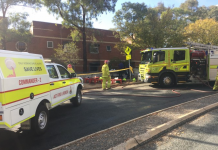 The widespread use of random breath testing and roadside drug-testing, as well as laser detection of speeding drivers, and close attention to unsafe or inattentive driving will form part of ACT Policing’s road safety strategy during Operation Crossroads. Operation Crossroads coincides with double demerits for speeding and seatbelt offences, with an extra point for all other traffic offences, from Thursday 17 to Monday 21 April, 2014.